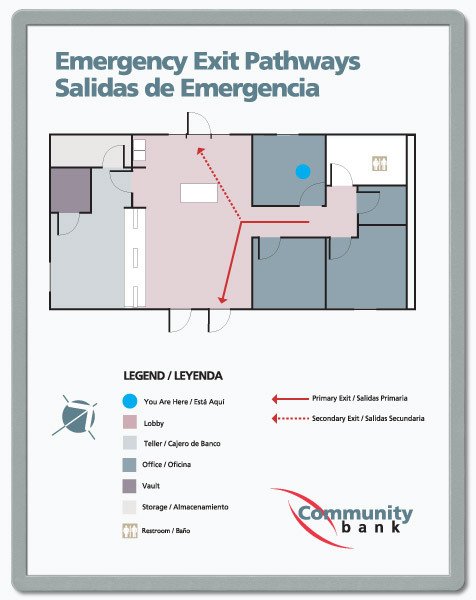 Create your own attention-getting evacuation plan signs quickly and simply, to clearly direct building visitors and occupants during emergencies. These easily changeable emergency exit signs mount conveniently in tamper-resistant SNAP® sign frames for durable, reliable performance. Libraries and museums require easy-to-read, easy-to-make emergency exit pathway signs. And what's better than a reusable SNAP sign that you can quickly customize for all the different areas of your building? 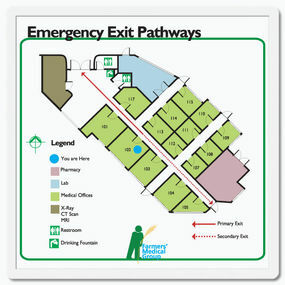 Highlight evacuation routes for each room with SNAP changeable floor plan signs that are customizable to make safety economical and convenient. Prepare your building with do-it-yourself multi-lingual evacuation plan signs and reusable emergency exit signs featuring route directionals that you can produce in your own shop or office. 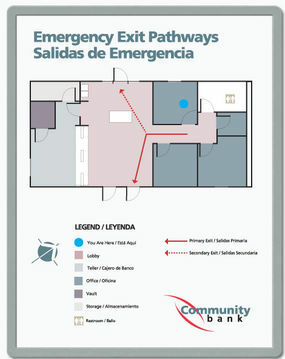 Make your own evacuation floor plan sign, then print affordable duplicates in different languages for multi-lingual coverage. Take your reusable evacuation plan signs to the next level, with 3-D images that really stand out. 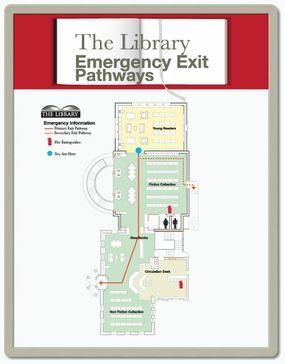 Do-it-yourself has never looked so dynamic than in these customizable emergency exit signs. And always by the 4th ring. 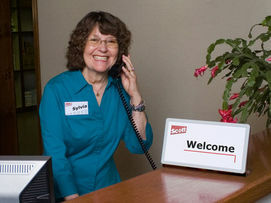 We'll resolve your questions, send you samples...whatever you need for your SNAP sign-making solutions. 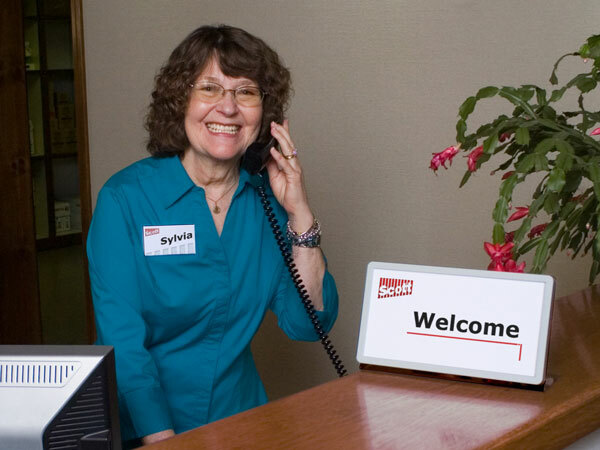 We'll be happy to help you add quality sign-making to your list of talents. 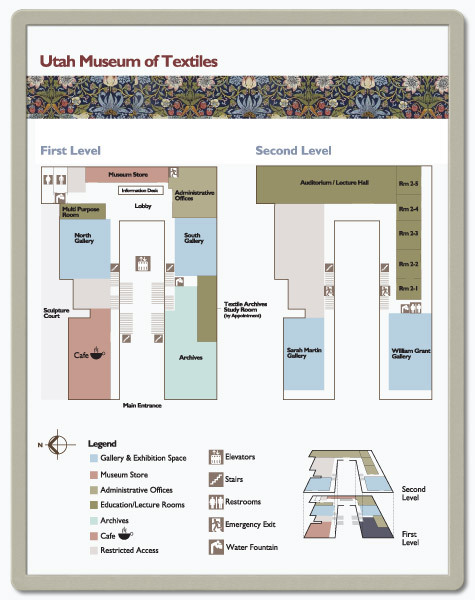 It's easy, thanks to economical, simple-to-use SNAP frames, papers and supplies that let you produce changeable floor plan signs and other building directionals without any formal training. You merely print your own sign panel, slide it into the frame and attach it to the wall. 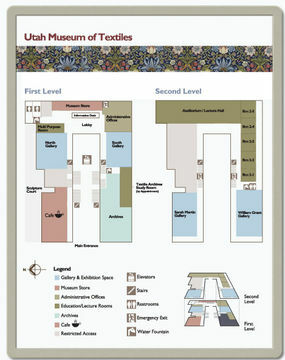 So step up your customizable sign program...we're with you every step of the way - from phone call to finished product!